So sorry for the lack of post this week. I've been running around like a mad (wo)man these last few days. 'I was busy' turned out to be an understatement. Every once and again I feel the urge to share one of my fashion icons with you. 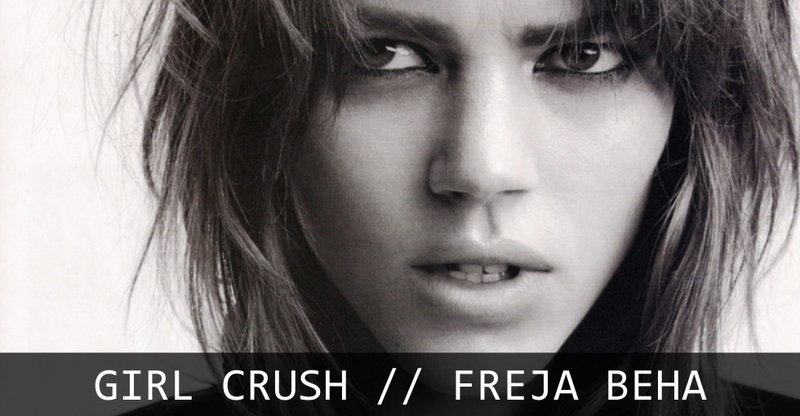 Today I'm giving it up for miss Freja Beha Erichsen. She owns my latest girl crush by taking the rock 'n roll androgynous look to a whole other level. She looks so pretty with her hair pulled back! gorgeous photos, freya is amazing. Ik vind haar vooral in de Zara campagne prachtig!